Wildling is a moodily atmospheric thriller combining supernatural scares with a myth-like tale of self-discovery and a beautiful coming-of-age tale. I am a book reader. A voracious reader. As a girl, I read books faster than most. Left alone quite a lot as a child, books became my fantasy world, a place I could run away to when life was too overwhelming. If the book “Wildling” had existed back then, I would have adored it. Not the version the young girl in the film, Anna is told, but the real one, the amazing story of the misunderstood creature in the film. Creature films are not new. There are so many amazing fantastical beings in movies, and I have always loved them. From Hobbits, to Werewolves, Vampires to Aliens — all these creatures from our dreams and nightmares, when brought to life, are so inspiring. Usually a metaphor for being misunderstood, these beings give us something to think about and love. We are sad to see them fought against simply because they are different. No longer in the bounds of human rules, they can be anything and have any power we give them. 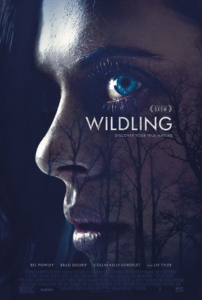 The feature debut from Fritz Bohm, Wildling is a spellbinding take on the werewolf legend starring Bel Powley (The Diary of a Teenage Girl), Liv Tyler (Lord of the Rings, Armageddon) and Brad Dourif (One Flew Over the Cuckoo’s Nest, Child’s Play). The soulful blue-eyed Anna, grows up alone in a locked attic, with only her view through barred windows to sustain her. Through the teachings of the man she calls Daddy, she learns that she is the only child left in the world; the others having all been eaten by a horrible creature with sharp teeth called The Wildling. Promising he is the only one that can protect her, he keeps her locked up her whole childhood. And when her body starts to change, he does everything he can to keep her from becoming a woman. When he loses control of the situation, Anna is thrust into the real world, and things begin to spiral out of control. 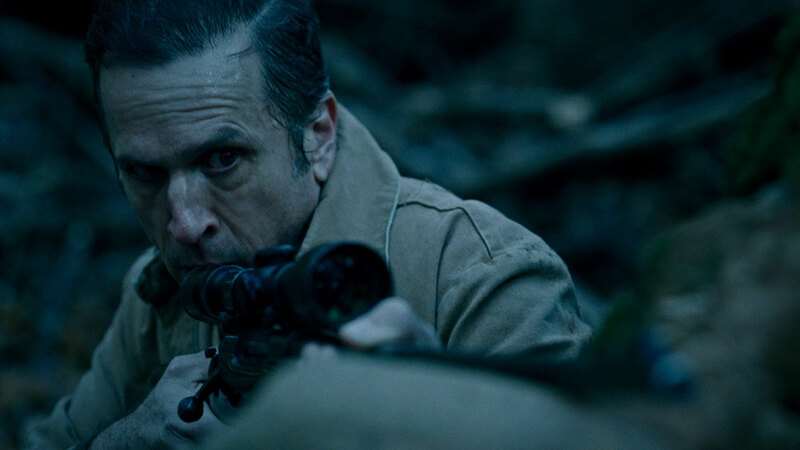 This film starts out a bit slowly but is so fascinating that it holds our attention. With some amazing acting from Brad Dourif, two wonderful little girls that play young versions of Anna (Arlo Mertz, Aviva Winick) and Bel Powley as teenage Anna, the movie grows and builds as fast as Anna matures after she is released from her prison with her “Daddy”. As Anna becomes confused by all the sights and sounds of the world overwhelming her senses, the audience joins in and goes along for the ride of watching a young girl go through puberty and confusing as it is — become the very thing that Daddy warned her about every night. The acting throughout is terrific, but it is Bel Powley that takes the movie to another level. In those blue eyes we see the teen girl trying to find her way through sexual adolescence and as she tilts her head just so, a feral side, just underneath the surface. She plays both sides with ease and even as we see her getting more violent, we cheer for her to complete her journey! This is a coming-of-age story, a fantasy and a horror film. It’s quite a powerful fable. Telling you too much of the story in this case is just wrong, because seeing this film is part of the beauty of it. And beautiful it is. 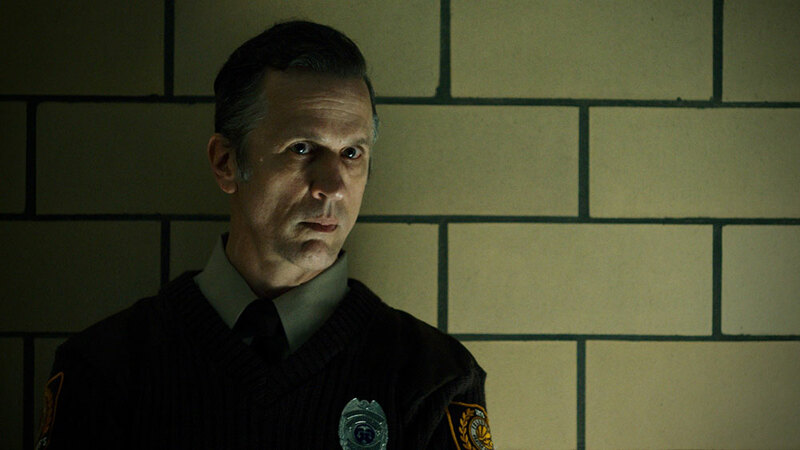 The cinematography is macabre and stunning. The forest is vivid and dreamlike, as if pulled straight out of a Grimm’s Fairy Tale. I wanted to run barefoot and exhilarated, alongside Anna, myself. With Get Out’s Toby Oliver holding the camera and co-writer Florian Eder adding special effects, Wildling is a gorgeous journey all the way through. Is there gore you ask…it is a horror film, right? Horror fans will not be disappointed, but I think this film will be appreciated by Sci-Fi and Fantasy lovers as well. This amazing coming-of-age film has a terrific twist that I didn’t see coming — a dark fantasy horror not to be missed. Wildling will be in theaters and on VOD on April 13th 2018!